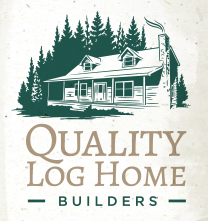 Quality Log Home Builders was started more than 35 years ago by the company owner, Evan Balazsi. Our small, family-owned company strives to ensure our customers are satisfied by ensuring they receive quality log homes. Throughout our many years of building log homes and log cabins, Quality Log Home Builders has found new and more effective techniques in log home construction. With our extensive knowledge and high-quality service, we can build a far superior log home in North Carolina than any other company—and at a better price. What sets us apart from the larger log home companies in NC? We believe that it’s not about the quantity of houses we sell, it’s about quality. We love making our homeowners happy, which is why it’s important to us that you enjoy working with us, and ultimately, that you love your log home or log cabin. Our goal is to avoid the deception common in the log home industry today by being a company you can trust. We accomplish this by focusing on our relationship with you. We want people to know what they are getting, who they will be dealing with and how much it will cost to complete the home of their dreams. You’ll feel confident as we make building your log cabin home a stress-free and enjoyable process. Take a look at our materials and packages, then contact us to get started on your Eastern or Central NC log home. Quality Log Home Builders builds top-of-the-line log homes and log cabins in Eastern and Central North Carolina.